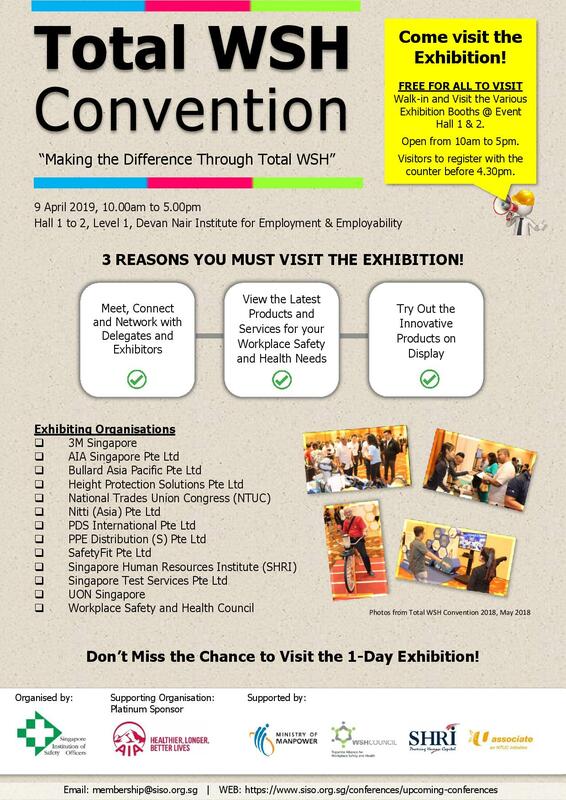 The Singapore Institution of Safety Officers is organizing the 2nd Total WSH Convention targeting approximately 300 delegates comprising of representatives from various government authorities, WSH professionals, HR professionals, representatives from academic institutions, and representatives from WSH-related associations. The Convention is strongly supported by the Ministry of Manpower, Workplace Safety and Health Council, the Workplace Safety and Health Institute, National Trades Union Congress, Sport Singapore and Singapore Human Resources Institute. Come say hello and visit the UON Singapore exhibitor booth!